Jennifer Hasan, D.P.M. - Princeton Orthopaedic Associates, P.A. Dr. Hasan attended Ursinus College on a 4-year Merit Scholarship and graduated in 1996 with a Bachelor of Science degree in Biology. She then attended the Temple University School of Podiatric Medicine and graduated with a Doctor of Podiatric Medicine degree in 2000. She completed a one year residency in Primary Podiatric Medicine at Cooper Hospital/University Medical Center in Camden, NJ. She then completed a two year residency in Podiatric Surgery at the Harris County Podiatric Surgical Residency Program in Houston, TX. Dr. Hasan is double board certified. She is board certified by the American Board of Foot and Ankle Surgery in both foot and rearfoot/ankle surgery and by the American Board of Podiatric Medicine. Dr. Hasan joined Princeton Orthopaedic Associates in 2003. 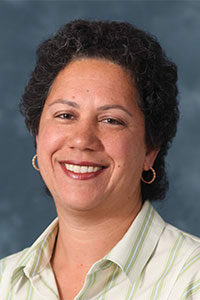 She is a member of the attending staff and Credentials Committee of the University Medical Center at Princeton. Dr. Hasan served as Chief of Podiatry in the Department of Surgery at the University Medical Center at Princeton from 2009-2014. Dr. Hasan is a member of the New Jersey Podiatric Medical Society and the American Podiatric Medical Association. She specializes in the medical and surgical treatment of all foot and ankle disorders.